After taking a deep-dive into data science in Australia, we decided to learn more about what it means to be a data scientist in Australia. On Indeed’s best jobs for 2018, data scientists made it into the top ten, ranking at number six. With almost 400% growth in the data scientist sector over the last three years, it’s an area a lot of companies are investing in. A data scientist role can encompass everything from business intelligence to technical reporting, and the type of work depends on the company – which means finding the right role that works for you can be tricky. So, if you’ve ever wondered “What company should I work for?” we’ve broken it down for you with insights from 50 Australian companies on how they use data science, and what opportunities exist for data scientists like you. Data scientists at Unisys specialise in advanced analytics models to process the rapidly-changing demands of large organisations. They use business intelligence techniques to collect and analyse data to assist companies in making business decisions. 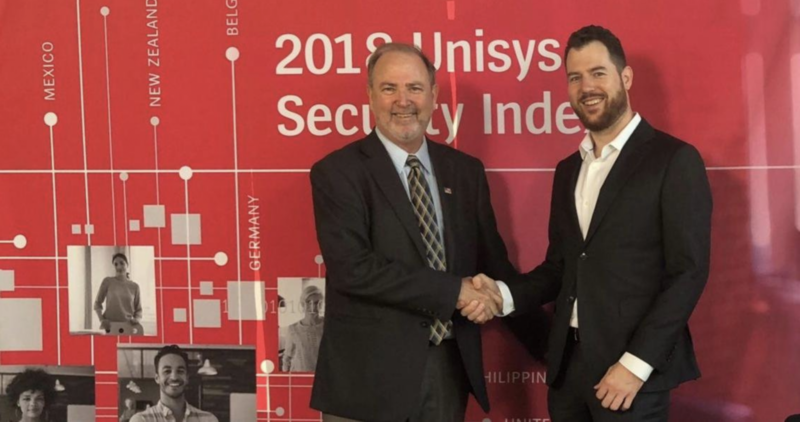 At Unisys, data scientists are working toward market-leading solutions for complex data problems in intelligence to deliver business practices that enable a competitive edge. Working with big data solutions and cloud computing platforms, data scientists work implement data solutions and analyse data sets. Data sources include structured, semi-structured, FTP, API and streaming data populating data lakes. 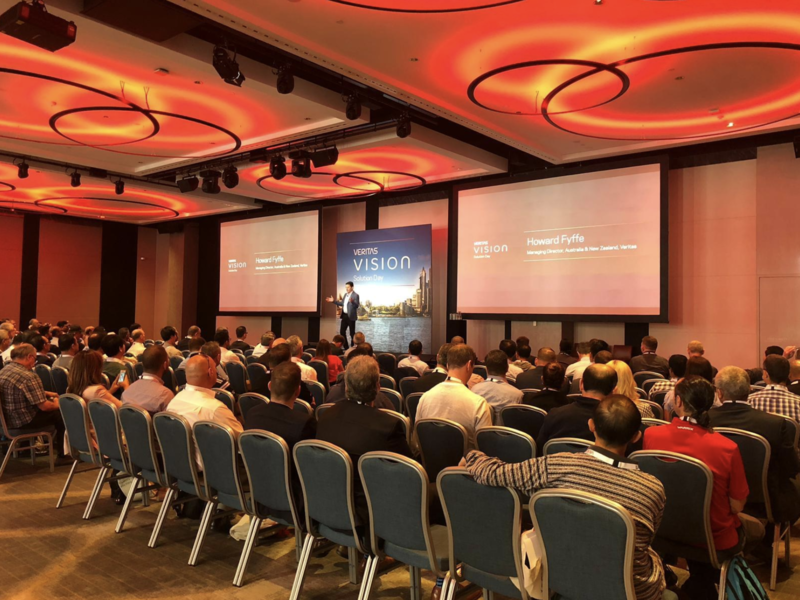 VMWare is a global leader in cloud infrastructure and visualisation, delivering IT solutions that enable agile service delivery. The data science team makes direct contributions to the next generation of data analytics platforms and their architecture. 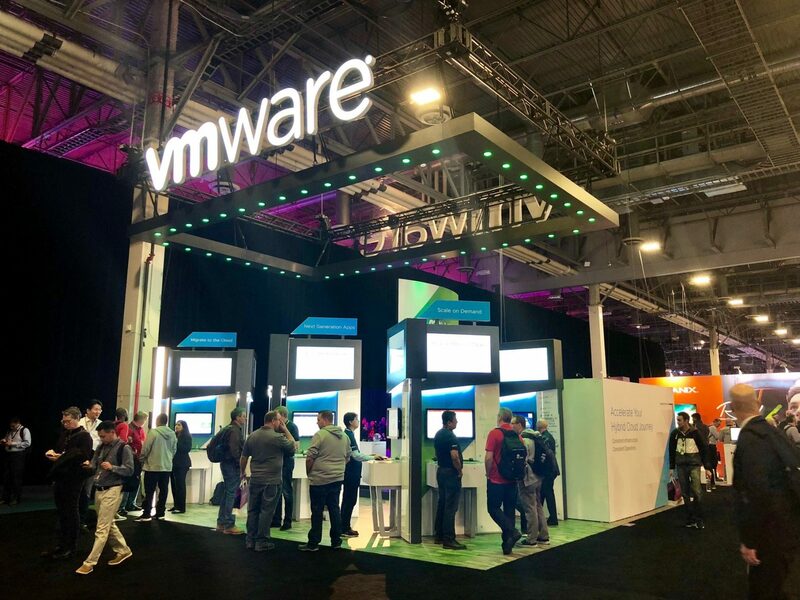 Data scientists at VMWare work with business intelligence platforms and are responsible for building and enhancing solutions on the existing platform with developers and stakeholders. SAP has helped to reinvent how enterprise application software is used by businesses globally. As a market leader, the company looks for data scientists with an entrepreneurial spirit and creative mind to develop innovative solutions for businesses. Data scientists at SAP execute mathematical modelling of customers business problems, develop algorithms, and create more efficient data mining flows and applications to solve problems and help customers understand and learn from the results of their analysis. They also integrate and implement data mining and mathematical methods into SAP’s products to continue to fuel analytics innovation. 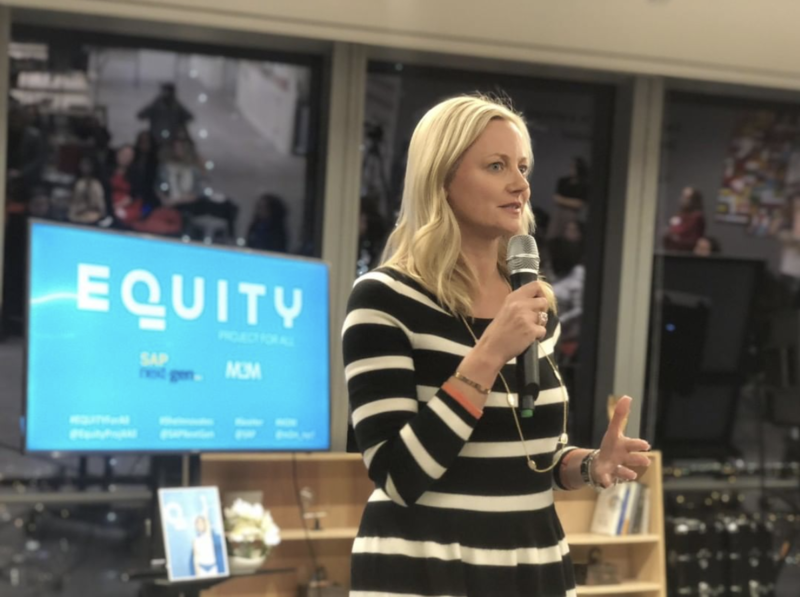 As well as a technical mind, SAP looks for employees who can contribute to a diverse and inclusive workforce. SAP believes that by celebrating difference, it keeps its workforce competitive and provides opportunities for all. Veritas works to harness the power of data for organisations and turn it into actionable insights. The company views data as digital currency for organisations and critical business assets for maintaining and growing organisational value. Data scientists help build data management platforms for assessing, managing and analysing data in real time, helping organisations maximise their data value. Veritas is paving the way in emerging big data and analytics products. Data scientists implement predictive and decision-making reporting technologies, as well as apply algorithms, statistical models, and predictive techniques for quality systems within Veritas products. Veritas also values passionate data scientists with a can-do attitude and leaders who influence change to make a difference. 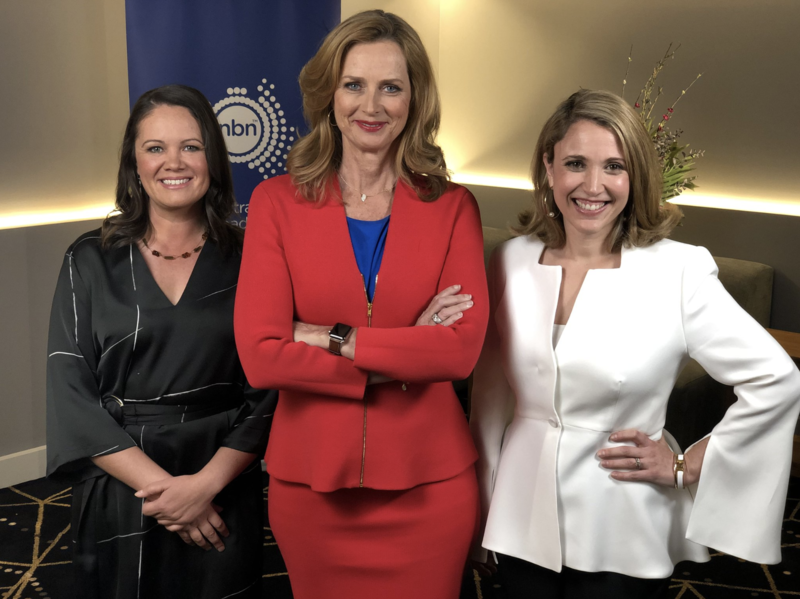 Data scientists at the nbn are working through ecosystem-wide problems in telecommunications, driven by network-IT convergence, virtualisation, analytics and machine learning. 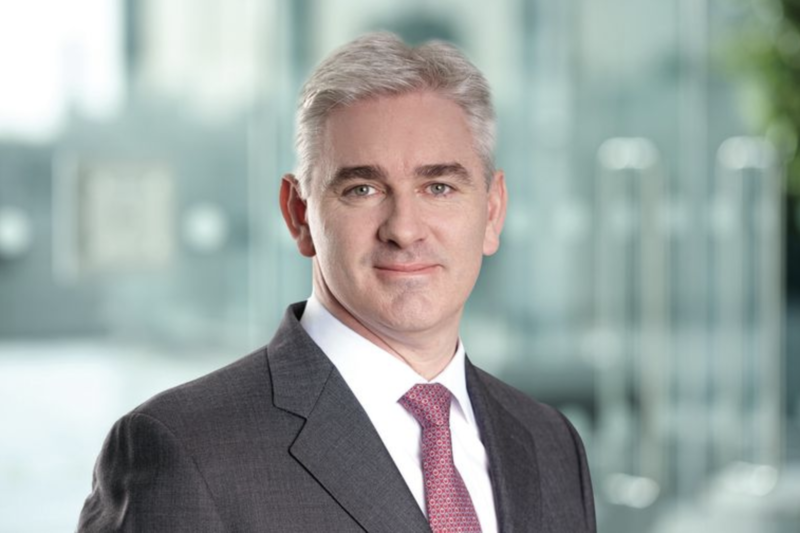 The nbn uses advanced analytics techniques to solve problems in new ways and overcome challenges as the business accelerates. This includes increasingly responsive, informed decision-making and high levels of intelligent automation. 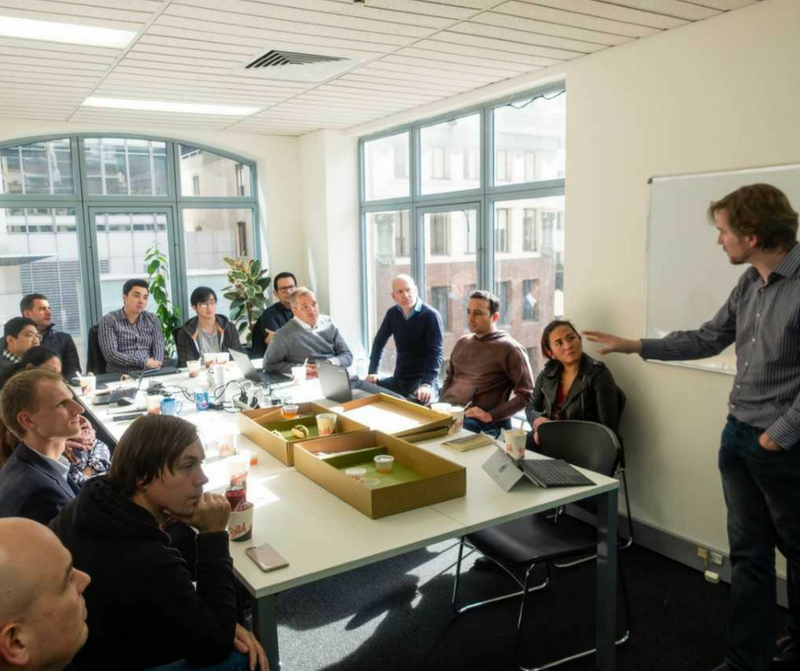 Data scientists at nbn lead research into advanced analytics and insights into machine learning and artificial intelligence based solutions in a collaborative, open and experimental culture. Through a collaborative workplace, data scientists research and develop machine learning models for prototyping, data analytics and insights within the systems engineering and operations division. Gartner is a world-leading research and advisory company, steering clients towards the right decisions in business with technological insights. Data scientists at Gartner work in a highly collaborative environment, working cross-functionally with other business areas and management. They drive projects in natural language processing, text mining, machine learning, self-correcting algorithms and modelling to improve and supplement client-facing recommendations and business systems. They also use their expertise to map statistical models and test hypotheses in data to develop intuition around business drivers. CeniTex is an Australian government organisation that supports the modern, agile and productive public sector’s digital outcomes in Victoria. The company plays a key role in major corporate systems and cybersecurity for government-wide IT capability. 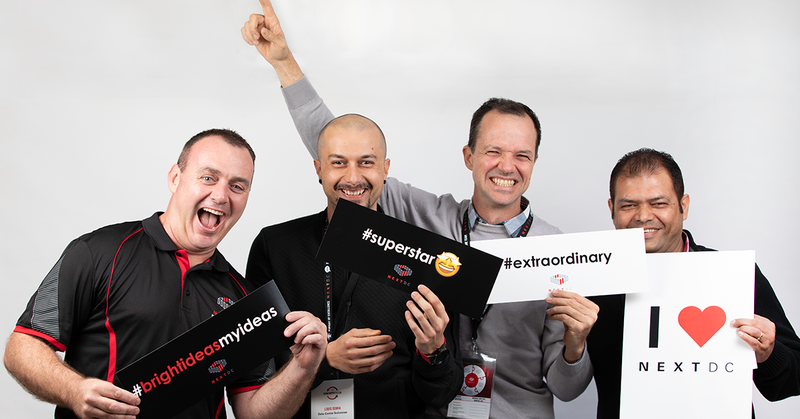 At CeniTex, data scientists work to create the best performing, most innovative and reliable ICT service in Australia by analysing data and developing new ideas for the service. CeniTex strives to create quicker, smarter and more creative ways of delivering ICT services that respond to its customers continually expanding needs for new products, services and cutting-edge technology. AWS Professional Services is a unique consulting team in one of the largest global enterprises: Amazon. AWS is highly focused on customers encouraging adoption of AI enablement for businesses. AWS data scientists explore massive amounts of data to develop machine learning and deep learning models in a company that has been investing in machine learning for decades and shaping the world’s AI technology. 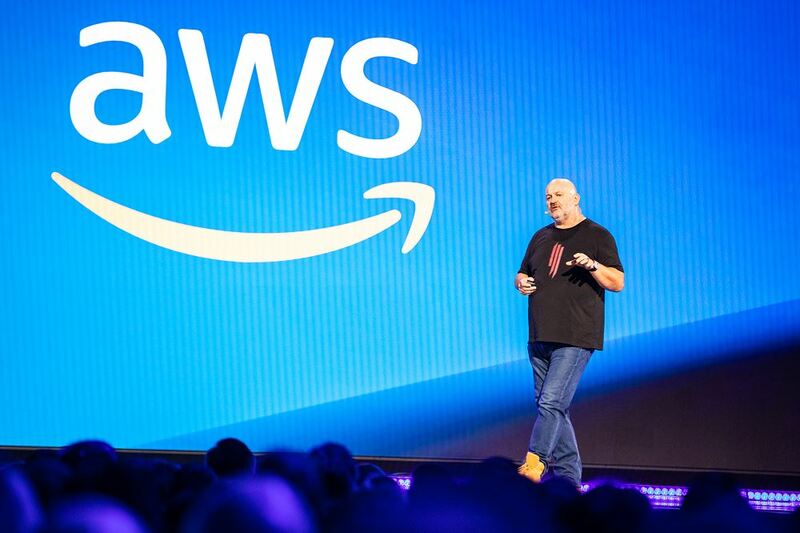 Data scientists also create predictive technology for large volumes of data that fights against a wide variety of security concerns for AWS’ customers. Ultimately, the company looks for data scientists who love to have fun, learn and innovate in the world of AI. Informatica is proud of data. Through Informatica’s platform, data enables customers to become more agile, realise growth opportunities and lead new inventions for intelligent market disruptions. 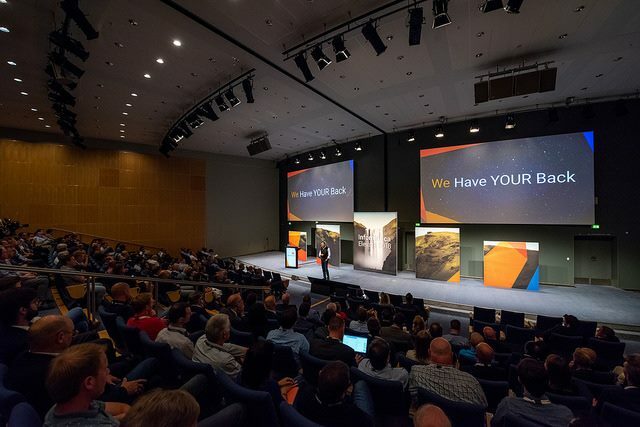 Informatica uses data to prioritise the customer, act in a team, and innovate for the future. Data scientists at Informatica solve problems for the company and its customers on an industrial scale. They also use data to fine-tune the customer experience with maintenance and intelligent automation, and generate insights to identify and rectify problems. 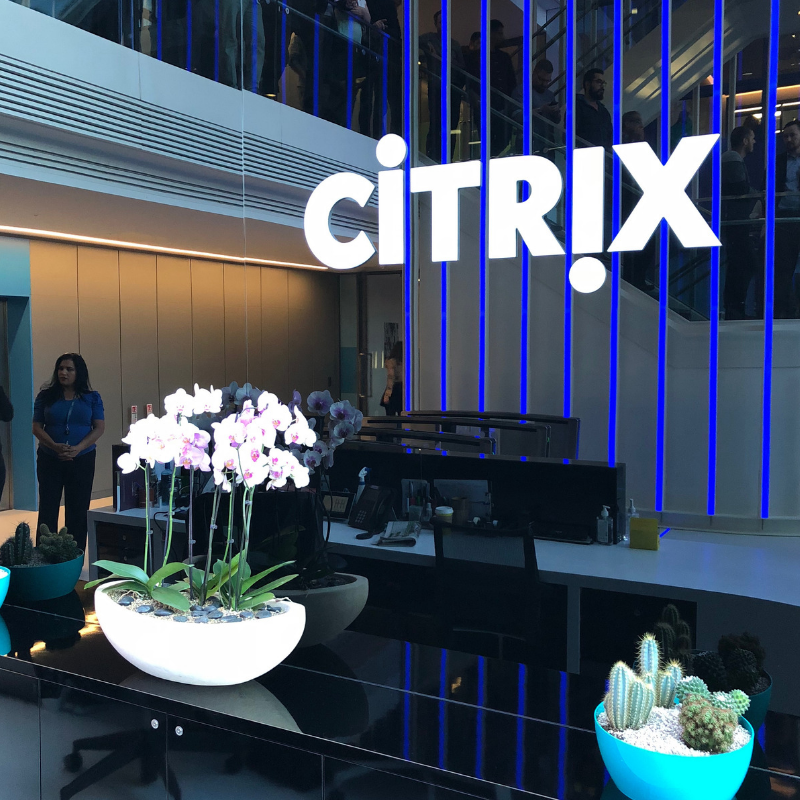 Citrix aims to make the world’s apps and data secure and easy to access for everyone. The company works to empower customers by creating critical cloud systems that are accessible and secure. 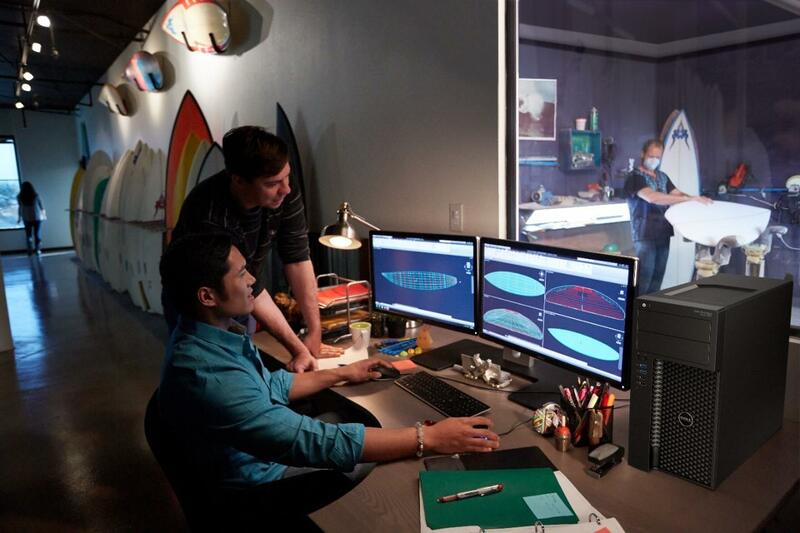 Data scientists at Citrix work with rich data to provide authoritative insights and actions for customers. 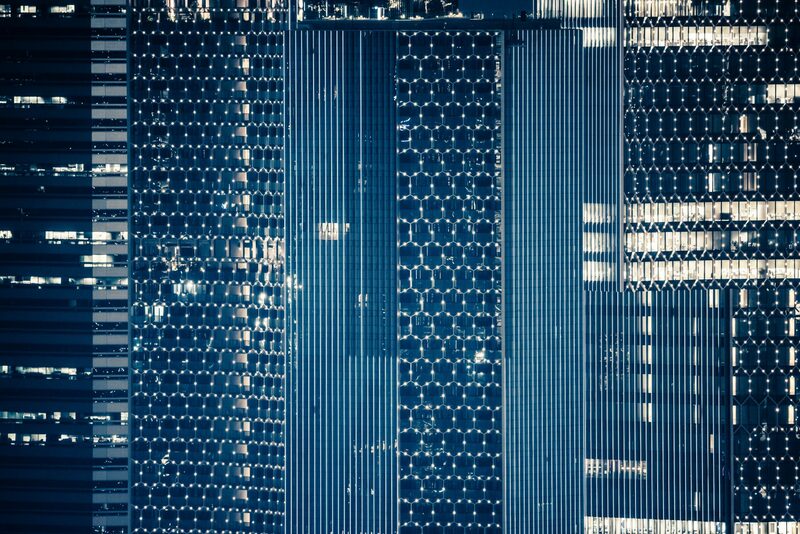 Modern IT architecture is analysed across network traffic, users, files and endpoints to identify potential malicious attacks or user behaviour, or app performance anomalies. Data scientists also work with AI and ML to deepen data discoveries the increases the speed at which IT professionals and systems can react. 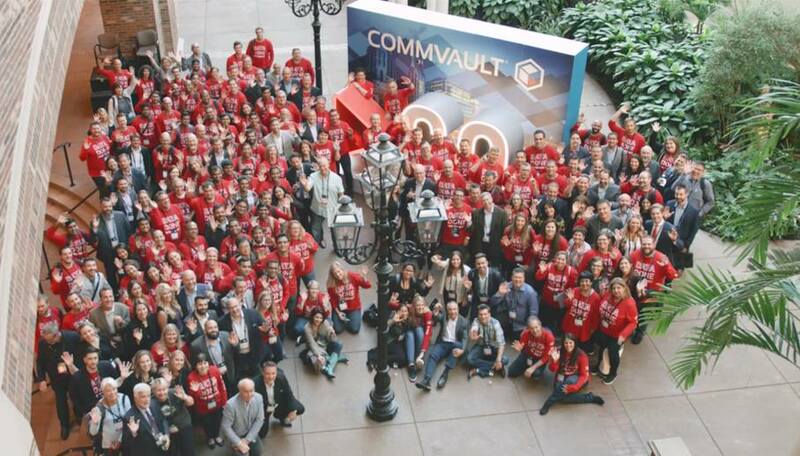 CommVault offers industry solutions that enable organisations to protect the use of their data, making the company a recognised leader in enterprise backup, recovery and data management. Data scientists at CommVault focus on data protection and safeguarding information, including data sources and backup modes from loss. They analyse data from organisations documents and media file management to detect security risks and organise software that encrypts, wipes or relocates files. This work gives CommVault the ability to rethink what’s possible for data protection and create innovative solutions that challenge the norm. datto’s highly secure cloud makes it easy to store files for an entire business in minutes while staying secure. The company has developed a simple system to easily restore lost files when needed. Data scientists help data succeed in the competitive field of IT by analysing data-backed insights to create more efficient products and support for customers. With Datto defending business data, the team is committed to keeping data safe, recoverable and accessible 24/7/365. 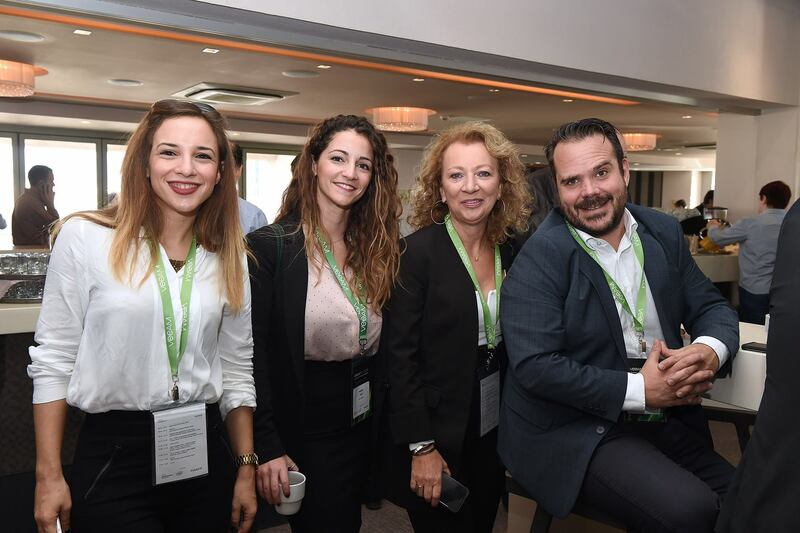 Veeam Software is a global leader in intelligent data management. With hyper-growth and hyper-sprawl of today’s data, Veeam software is hyper-available. It moves to a new state of intelligence and is able to automatically anticipate demand to move securely across the multi-cloud infrastructure. Data scientists at Veeam analyse behaviour-based management to make data both intelligent and ultimately self-governing. They also translate analysis into presentations and communications for access by company leaders and executives to speed up innovation and deliver new digital services. Domain has changed the world of real estate with a dynamic and innovative technology business that informs, inspires and connects people throughout the property lifecycle. There are many elements of the Domain business model in which data science expertise is needed. As well as digital listings and portals, Domain gathers insights into sister companies Commercial Real Estate, All Homes and Review Property (just to name a few) to provide services including Mydesktop and Homepass. Improving the overall system reliability is a priority for data scientists at Domain, which is continuously developing its platform to better serve customers. NTT Data Business Solutions delivers end-to-end technology services to customers that solve complex business issues for digital transformation. They deliver tailored models through local expertise on a global scale at one of the largest IT groups in the world. NTT Data Business Solutions data scientists complement advanced analytics, data mining and statistical techniques to assist in the bespoke design, implementation, support and hosting of business solutions for SAP-centric customers. These solutions position NTT DATA as a leader in advanced analytics to improve business performance. The Woolworths group has a new arm, WooliesX, that combines its divisions in digital, e-commerce, data and customer loyalty and rewards. 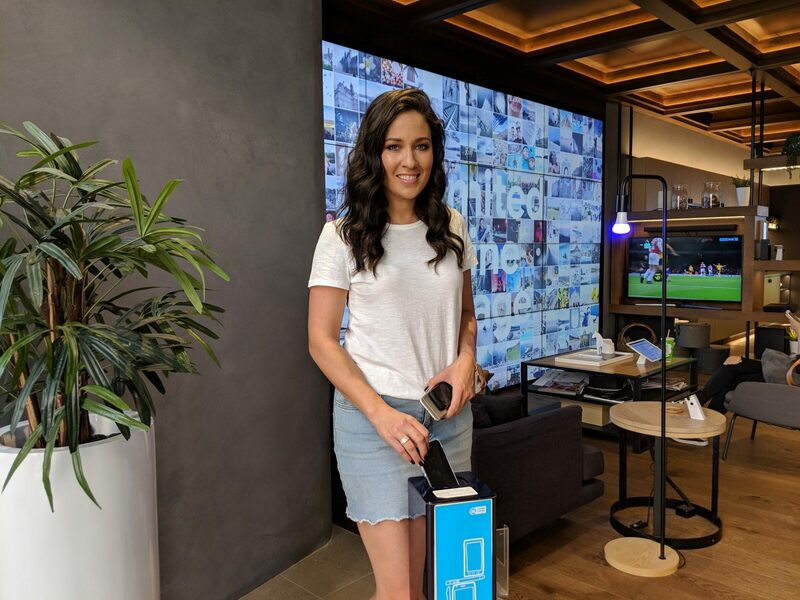 WooliesX is looking for new ways to connect with customers as technology continues to transform for a personalised customer shopping experience. Data science plays a key role in digital transformation, and data scientists at WooliesX are working to develop, implement and optimised analytical and predictive models with WooliesX’s state-of-the-art statistical and machine learning models. Data scientists also take charge of their projects through execution, testing, building, implementation, maintaining, tracking and optimising predictive models. They are at the forefront of the delivery system to ensure algorithms are delivered and maintained into delivery systems. Aristocrat Leisure Ltd is an ASX-listed company that is at the forefront of gaming solutions, operating in 90 countries around the world with a team of over 5000 employees. Data scientists work closely with the corporate, engineering and supply chain teams to provide technical reports, data quality and technical data analysis resource for business intelligence projects. They also work to acquire data from primary and secondary sources to maintain data systems and identify, analyse and interpret trends or patterns in data sets. 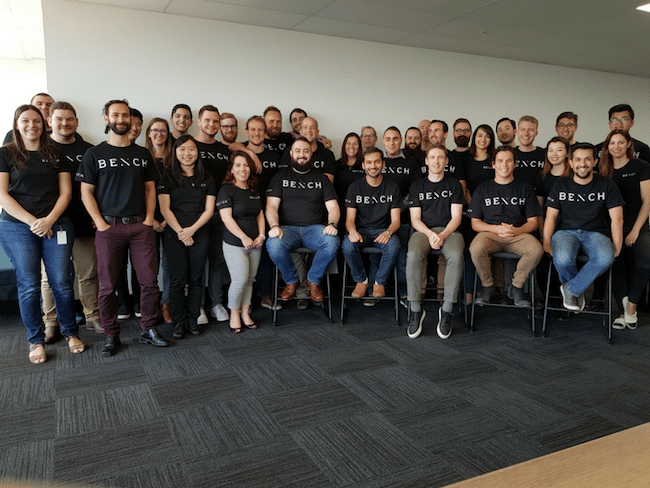 Bench is a global programmatic marketing platform used by some of the world’s leading brands. It is considered a key player in the Australasian marketing space. Data science careers at Bench involve troubleshooting data and analytics systems to ensure data-related problem are resolved to enable the development of new automation features. Data scientists also provide general data integrity throughout different systems and support the product by investigating data issues, including triage, root cause analysis, debugging and solving problems in large data sets. Maintaining data and developing automation tools are part of the day to day tasks within the Bench team. Digivizer is a platform that allows business to understand, deliver and make good decisions about their investments in digital marketing through the use of big data, the social web and CRM. 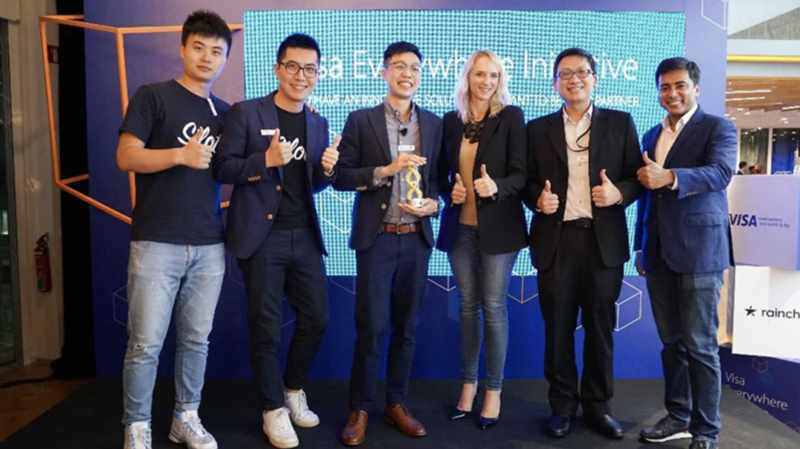 The company won two of BigInsights Data Innovation Awards for Best Customer Insights and Best Industry Application of Data Analytics back in 2017. As an industry leader in analytics, there’s no better reason for data scientists to work at Digivisor. Data scientists at Digivisor work to cover all aspects of digital analytics, triage and predictive modelling for analysis of the platform. Digivisor also manages content creation, community management, thought leadership, influencer identification and management to support businesses. Salesforce.org is the #1 in CRM in the world. Featured as one of the most desirable companies to work for, the company has some of the most unique data sets drawn from sales, service and marketing strategies. Data scientists at Salesforce are cross-functional, working with teams like engineering, product and design. They deep dive into data and look for potential opportunities to innovate and plan for a product roadmap. 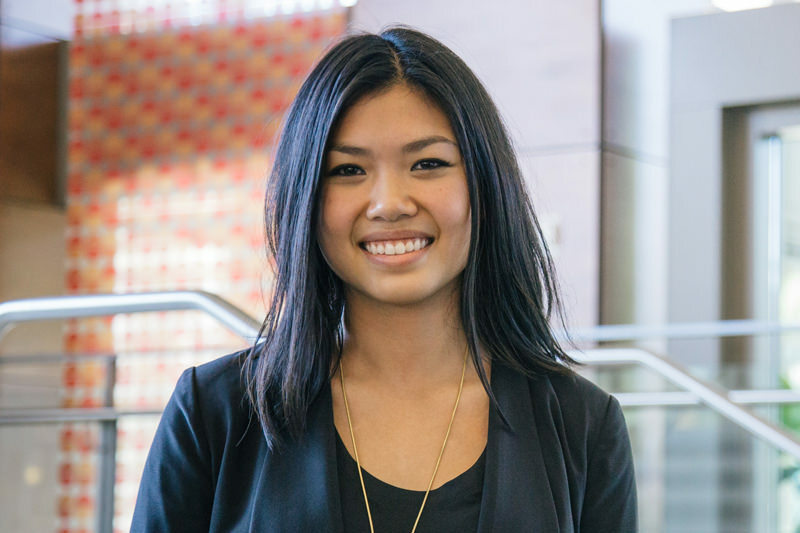 Self-directed data scientists thrive at Salesforce, encouraging innovation and vision for social change for global impact using analytics and research into data sets, model building, testing, and deploying production of products. Data science careers at Salesforce are trailblazing new ways to develop AI for customers and make it accessible. 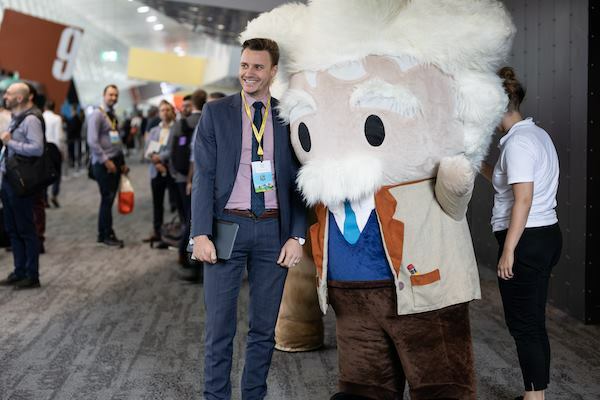 Designing an analytical approach, mining data and providing an output action for the business is all part of working in data science at Salesforce. GE is the world’s digital industrial company transforming software-defined machines and solutions. Each invention in the business fuels innovation and application across industrial sectors. Data scientists at GE work in data analytics and machine learning to curate and analyse large sets of business and operations data. They also work with descriptive and predictive models by applying physics and data science modelling techniques. This directly drives better outcomes for customers through enabling high-fidelity solutions across the business. New Relic focuses on real-time data for every decision-maker in every department of data-driven organisations. The company recognises that data enables a competitive edge, and gathering storing and pulling data is necessary for modern businesses. Using auto-instrumentation to collect metrics and store them in a super-cluster provides easy access to data in milliseconds. Data scientists fit into this data-focused business like a glove, looking at the complex data sets and engaging with software that holds critical data for business success. 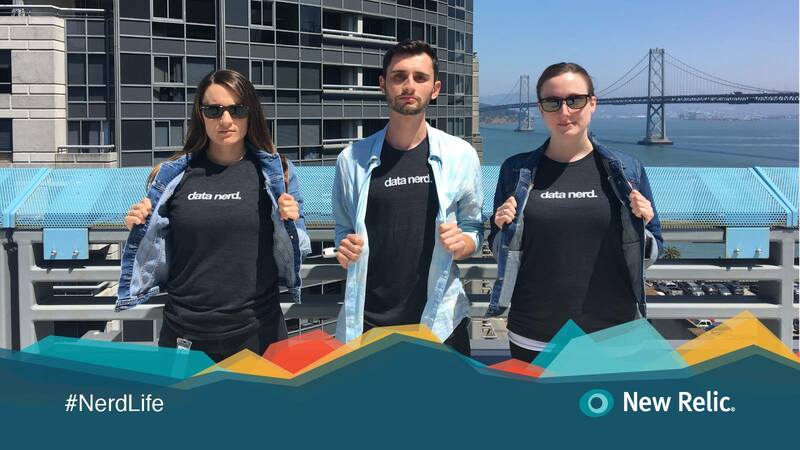 New Relic is full of data nerds who are mavericks, risk-takers, problems solvers, punks, parents, athletes, activists, geeks and artists. 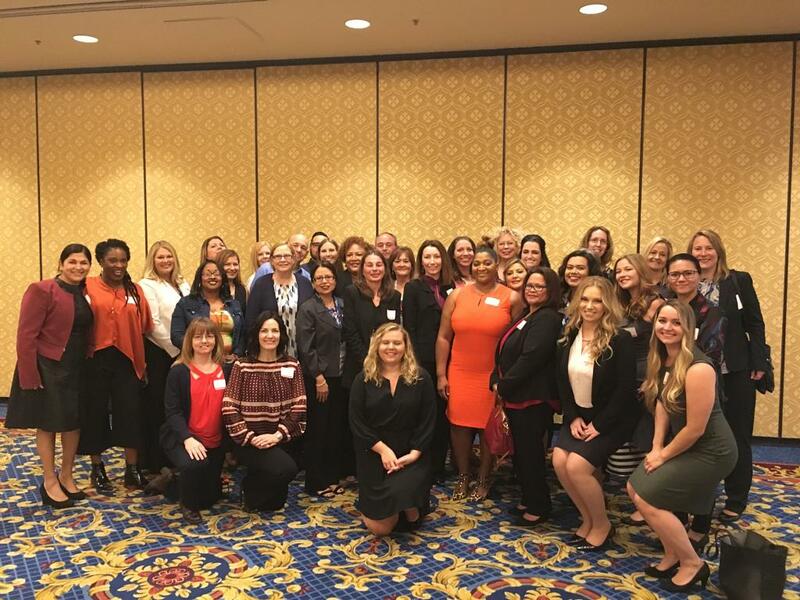 With a diverse team, all employees have the support they need. 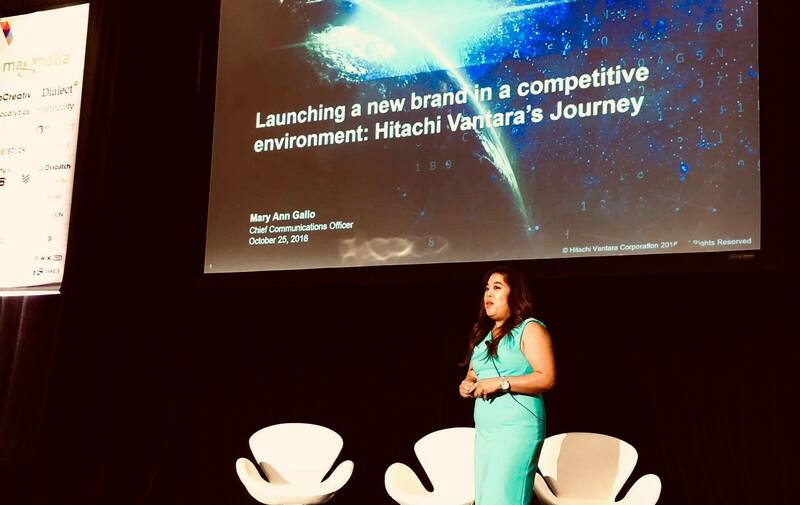 Hitachi Vantara uses technology and industry knowledge to improve customer experience through data-managing solutions. Hitachi Vantara develops new revenue streams and lowers business costs by innovating and combining IT, operation technology (OT) and domain expertise. Data scientists at Hitachi Vantara are responsible for understanding business problems in big data, analytics, AI, ML, DL and IoT, and then formulate new and innovative solutions for structured and unstructured data. They also plan predictive, exploration and prescriptive models of automation execution, diagnostics and analytics of products. Developing evaluation, testing and deployment show the customer-focused companies priorities in end-to-end solutions across multiple industries. 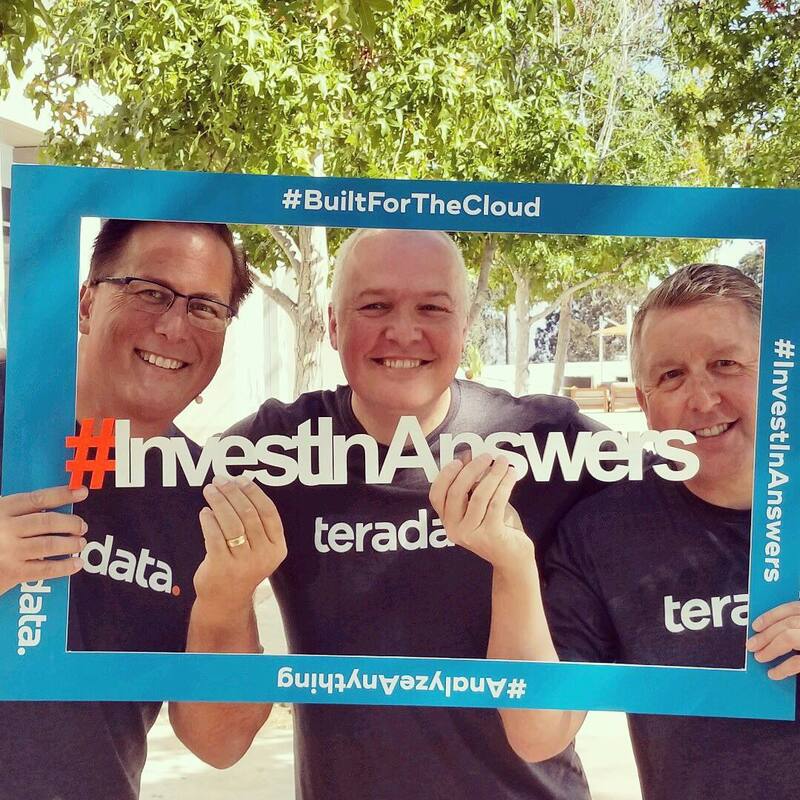 Teradata leverages data so that customers can analyse everything and deploy and deliver analytics anywhere that matters to them. This can be at scale, on-premises, in the Cloud or anywhere you need. This is called ‘Pervasive Data Intelligence’ and it’s the way Teradata transforms how businesses derive power from data. Data scientists at Teradata gather intelligence from large volumes of data that clients gather to create a multi-structured advanced analytics model. This allows the client to make business decisions from these findings. If this sounds interesting, Teradata is currently hiring a Data scientist in Canberra. DXC Technology offers analytics services to provide insights for digital transformation. The company’s partner network and ecosystem allow customers to leverage investment while building analytics solutions. DXC’s data science blog includes insights into research and transformation within the company’s data science faction. 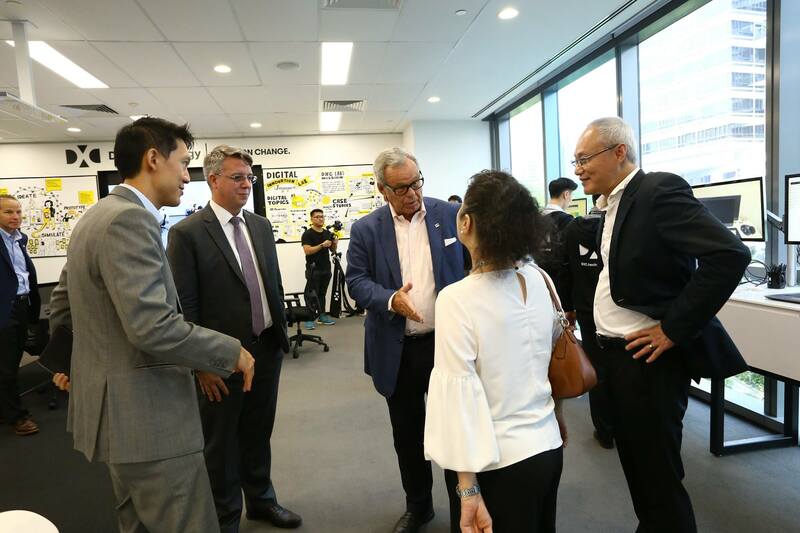 DXC and its data scientists provide a foundation of information and analytics to harness the value of data, whilst delivering intelligence systems to improve business outcomes. Oracle is a leading marketing platform provider that helps companies reach customers with the right channel at the right time. The company recently acquired datascience.com, a platform that centralises data science tools for work organisations, easy data access and end-to-end model development and workflows. 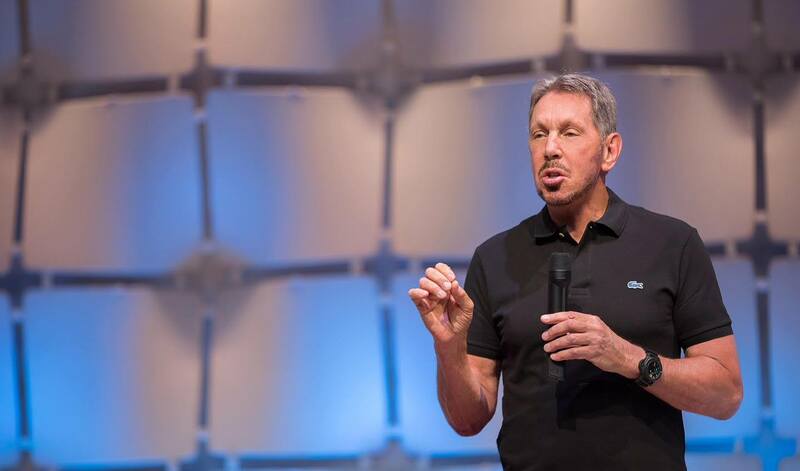 The Oracle team is currently building a new product that is focused on data management powered by AI and analytical dashboard to give marketers in-depth knowledge of their audiences. Data scientists at Oracle develop and analyse methods, processes and systems to consolidate diverse data sets to generate actionable insights and solutions for Oracle’s services. Data scientists also create algorithms and automated processes to cleanse, integrate and evaluate data sets from multiple sources. Canstar is Australia’s biggest financial comparison site for comparing brands. 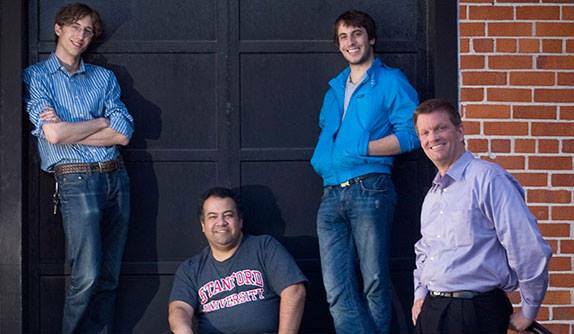 Over the past twenty-six years, they have been collecting data, creating huge potential for data-driven innovation. More recently, Canstar has been growing their Data Science teams and working on initiatives for improving their service. 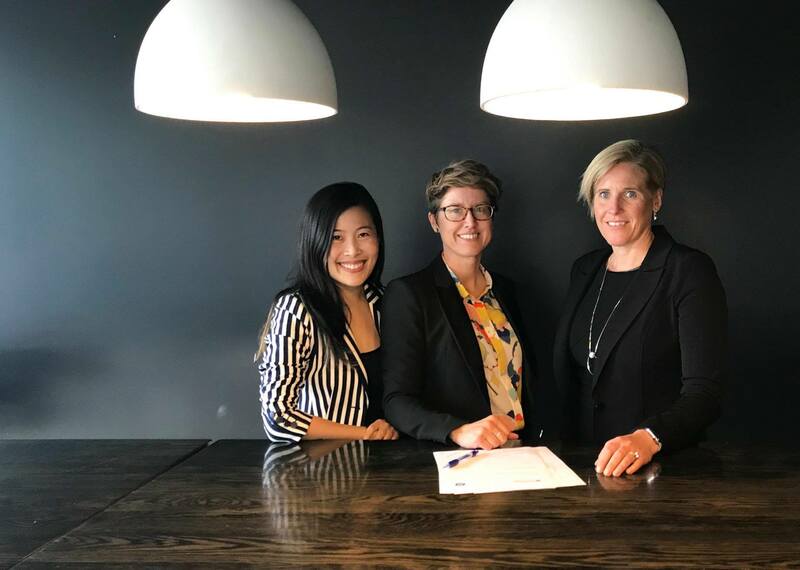 This includes cross-team collaboration projects to improve customer experience and provide better data-driven insights aimed at helping Australians save money. They are always looking for new people to join their teams who have a passion for data, geek out over the breadth and depth of data and can see the opportunities available in it. Most teams leverage Python, PHP, SQL, R, Google Analytics and Tableau, with opportunity for individuals to focus in on their speciality. Teams also have a flexible work environment with perks like free breakfast, birthday leave and monthly massages. The REA Group is made up of some of the most successful online property experiences including realestate.com, flatmates.com and housing.com. 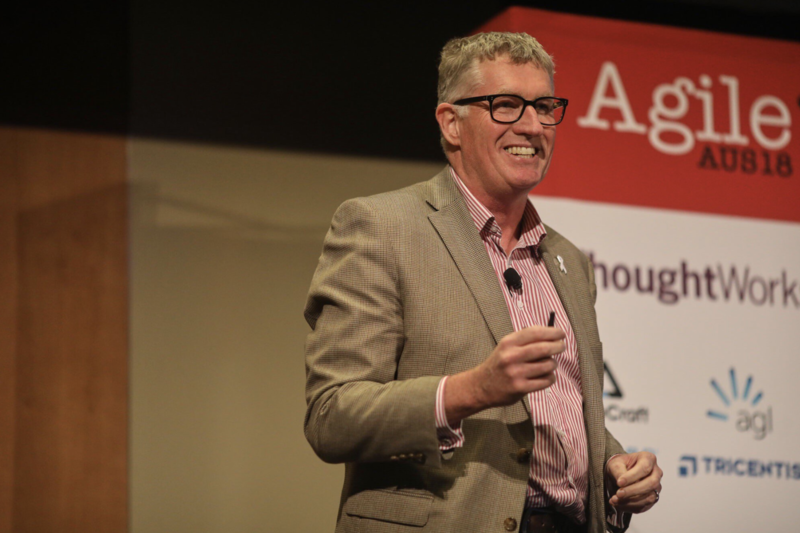 As a digital business, data scientists play a crucial role at REA Group. The company is making big investments into data engineering and data science to enable their consumer product strategy by embracing all new technologies available. Data scientists have the opportunity to work with statistics, logistic regression, linear regression, neural networks and much more in such a data-rich environment. Equifax is a global information solutions company using unique data, innovative analytics, technology and industry expertise to transform data into insights to inform businesses and customers. Data sits at the centre of all products and analytics solutions at Equifax and data scientists work in a big data environment to develop insights and leverage data sets with new analytical tools. Equifax’s major data sets are rapidly changing, and the data and analytics team works toward solutions for a range of issues including credit risk, fraud and marketing. Data scientists are responsible for paving the way toward the future of analytics and data management within Equifax. 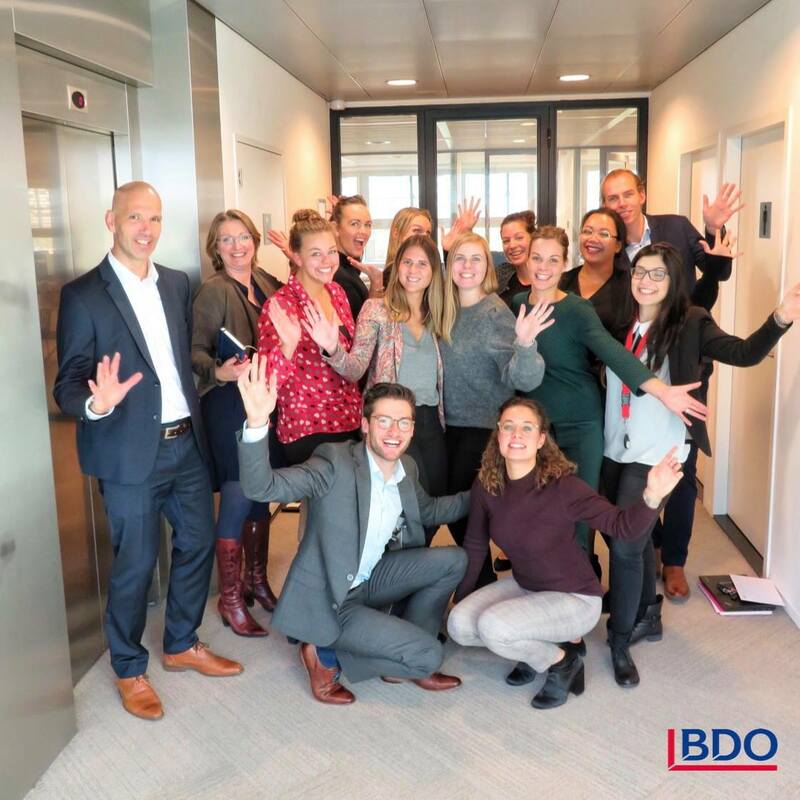 BDO is a leading accounting and advisory organisation with clients from all sectors and organisations of all sizes. 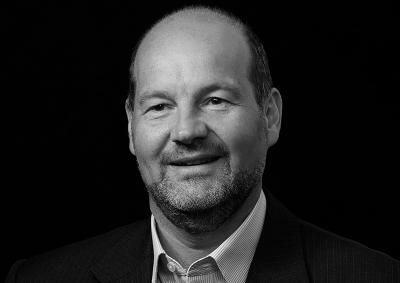 BDO works to maximise growth opportunities and improve business processes. The company uses data and analytics across numerous systems and find it hard to consolidate the data together and aligning it for actionable insights. This where data scientists step in and navigate the consolidation process to extract, match and centralised data for programming and automation. They also create machine learning driven algorithms for data mining and optimisation. SOPHOS works in the IT security space to develop solutions for secure complex networks. Head data scientist Joshua Saxe works with creating deep learning detection models to support the next-generation of security solutions. 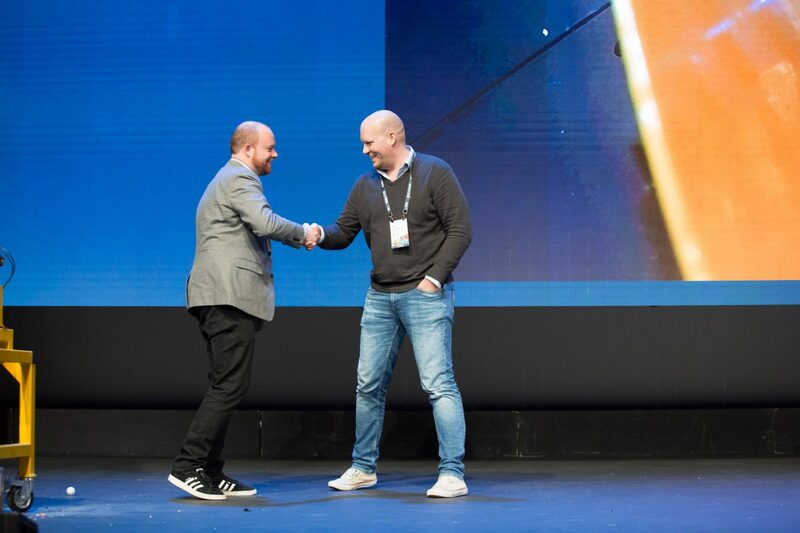 Earlier this year, SOPHOS updated its product Intercept X with the help of machine learning devised by a team of data scientists. 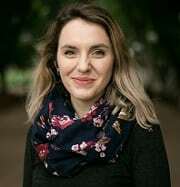 They trained data to create more accurate predictions for large complex functions, and incorporated deep learning to break these problems down into smaller easier ones to solve. Want to listen to music on the go? Spotify allows you to do that with your phone, computer, tablet or any device through its app (but you probably already knew that). 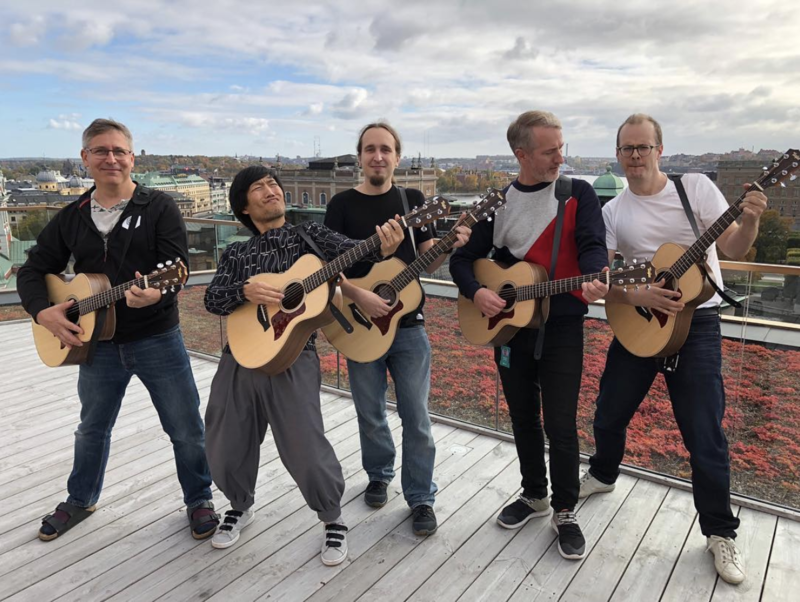 With millions of songs, artists and users, data scientists at Spotify have a mission to analyse terabytes of data for a deep understanding of Spotify’s music and listeners. Spotify uses hands-on statistical modelling and machine learning to carry out this research and improve the experience of music for users across the world. Data scientists have a direct impact on the strategy and direction for Spotify by studying user behaviour, strategic initiatives, markets and content to develop new features. 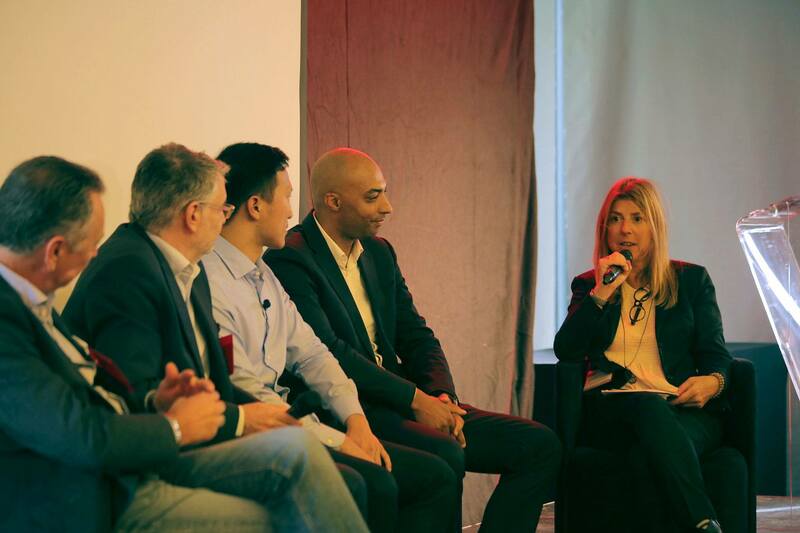 Optus is powering the next generation of their products with data and analytics. 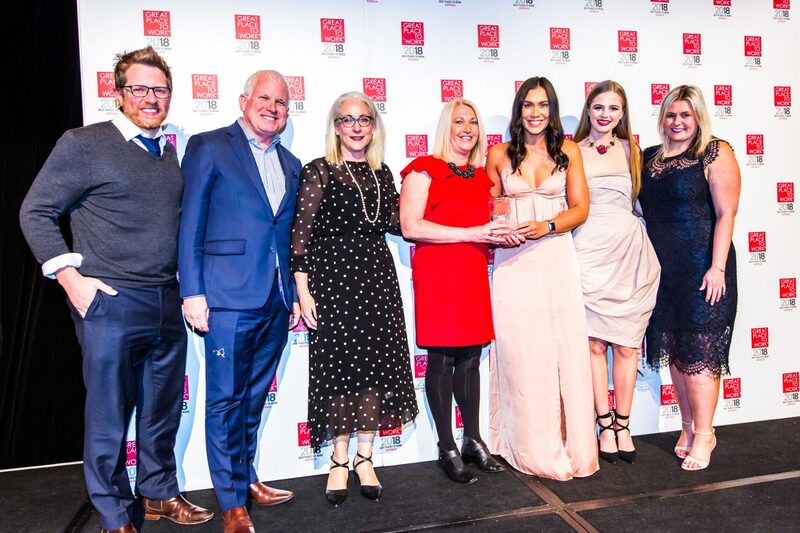 As one of the largest telco companies in Australia, the company continues to push to be a world-class, mobile-led digital service provider. 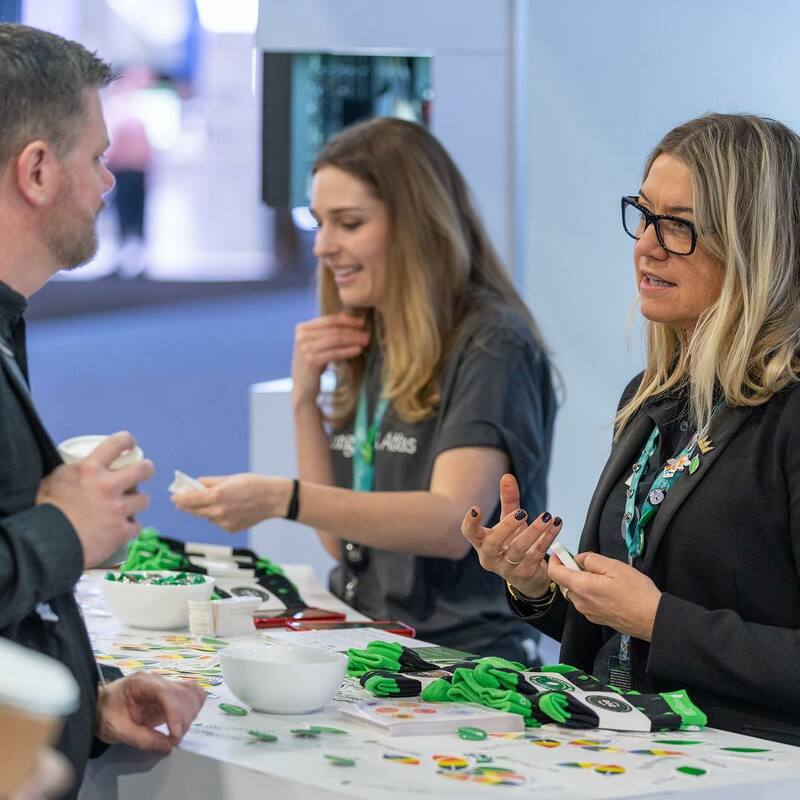 In fact, Optus has just created a new Data Centre of Excellence (COE) team to identify areas of growth while engaging, empowering and increasing the effectiveness of the team. Optus is currently looking for expressions of interests from people with experience in data science and machine learning, big data engineering, data governance, advanced data visualisation development and UI design to be a part of the new data and analytics team in Sydney. MongoDB unleashes the power of software and data through a modern, general-purpose database platform for developers and the applications they build. It is an open source product with the opportunity to pay for premium services with all the bells and whistles. Data scientists at MongoDB work with, among other things, big data to create new opportunities for business value. By providing database like MongoDB NoSQL to underpin big data systems, data scientists help to service these organisations with data and insights to enable growth and global value. 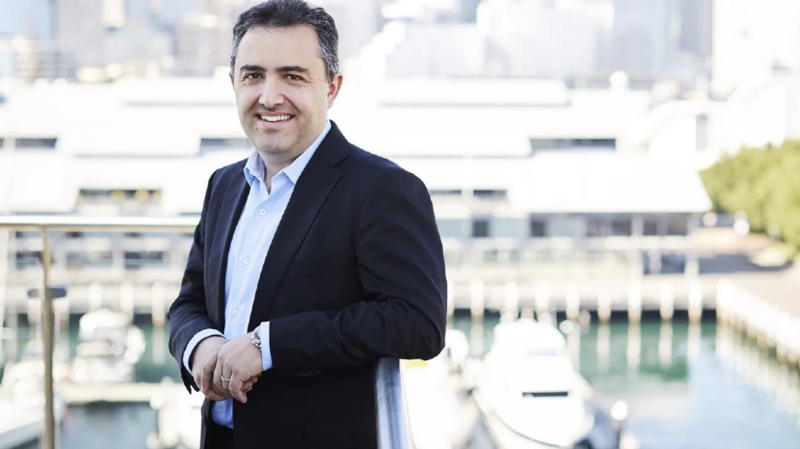 As an ASX 200-listed technology company, NEXT DC enables organisations to transform their businesses with data centre solutions and connectivity services. The company is Australia’s leading data centre operator, with eight data centres across five cities in Australia. 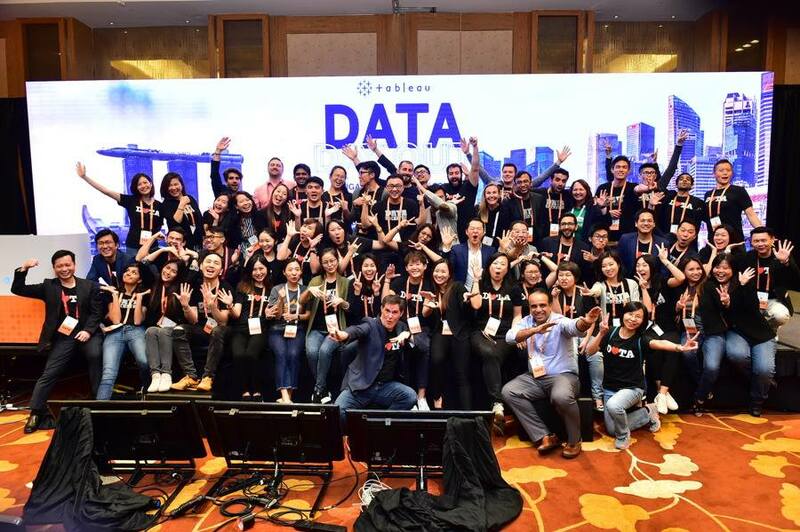 Data scientists at NextDC help deliver the enterprise-class data centre solutions that connect local and international organisations. Providing technology that transforms the way people work and live is not an easy feat – but Dell is paving as not just a technology company, but a people company. Dell is committed to developing data and increasing business value through machine learning and artificial intelligence solutions. 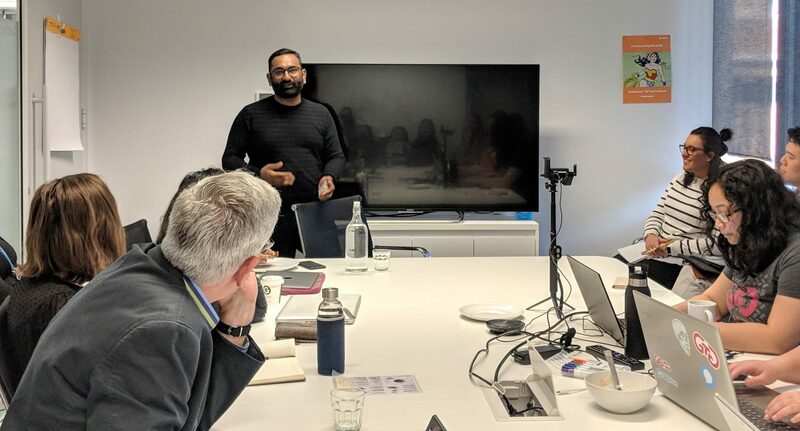 Data scientists at Dell develop new practices and methodologies for Dell’s technology by working closely with leading academics and industry experience on a range of projects. This helps develop a new approach to the meaning of data in their business. SAS is a leader in analytics, using innovation software and services to empower and inspire customers. Data scientists at SAS are members of the analytics team, helping to analyse customer data and build analytical models to solve high-value business problems. They also process and analyse large sets of customer data and build predictive models with machine learning algorithms like neural networks, decision trees, clustering and boosting/ensemble methods. On top of this, they maintain and refine processes and procedures in high-end analytic modelling solutions. 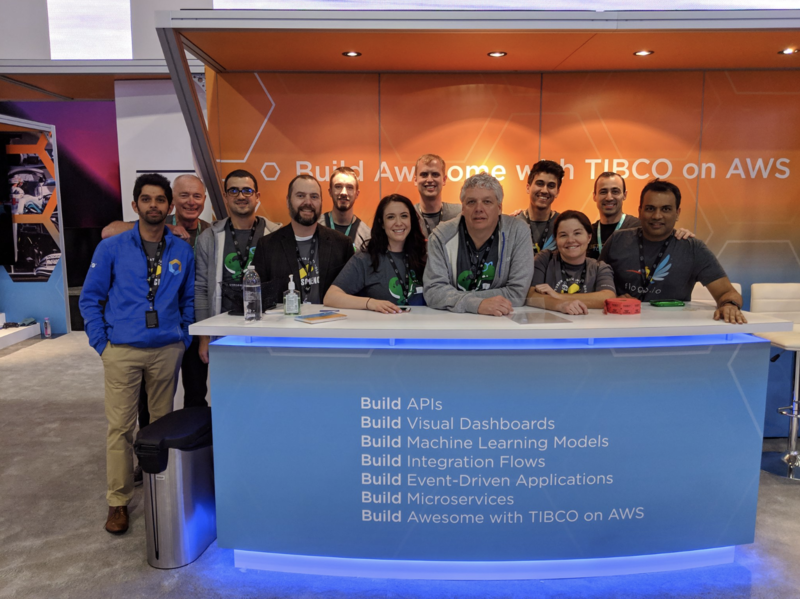 TIBCO is a digital business that uses intelligence form APIs, systems, devices and people to interconnect and capture data in real time. The business offers analytical insights for thousands of customers around the world to build experiences, company operations and invest in innovation. TIBCO’s data science team works with extensive tools for collaboration, automation and analytic workflows. With these tools, they offer insights into end-to-end analytic lifestyle models whilst providing information about enterprise security and governance. This helps to solve complex problems faster. Turning machine learning into answers is what Splunk is all about, regardless of organisation size or industry. The company helps to pursue a new vision to make machine data accessible, useable and valuable to everyone. Splunk also uses integrated artificial intelligence solutions across platforms to automatically detect anomalies and predict future outcomes. Data scientists at Splunk work in all stages of the data science pipeline – from modelling to performance evaluation and implementation. Tableau helps people understand data with transformative products that solve real-world data problems. These products analyse data fast and in an easy way to use. The company offers data science integration systems that make statistical analysis easily accessible for all people. With three types of integration offered – R integration, Python Integration and MATLAB integration – data scientists help develop these models and provide accessible ways for users to use this data. 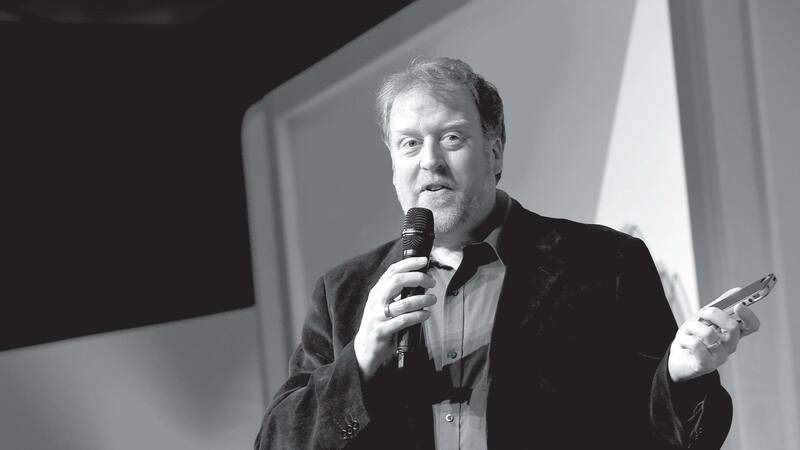 Cloudera offers a range of data science products, and continues to produce software that holds true to the founders’ core beliefs: that open source, open standards and open markets are best.This creates opportunities for data scientists at the company to analyse data and help develop these systems for the best customer experience. Data scientists at Cloudera works with machine learning, data processing, stream processing and exploratory data science to improve data understanding, no matter where its stored. Domo believes the world needs more data scientists. 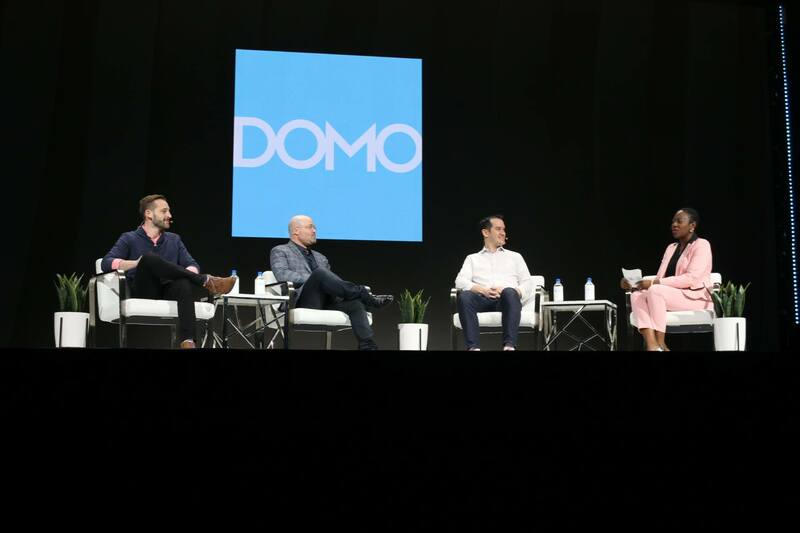 By bringing together data, systems and people digitally, Domo has created a connected business that is fully mobile and cloud-based. Having every component of its customers’ data on their phones, data scientists play a large role in this business management platform. They implement and create big data systems that implement algorithms and statistical models to better understand the business flow and underlying data. They also dabble in implementing machine learning algorithms to improve website intelligence. Microsoft has multiple data and analytics initiatives across the business. Their Microsoft Cloud+AI Design team works to maximise the impact of data science on design and product decisions, while the ALICE team works with artificial intelligence and its ability to make economic decisions. Microsoft is also always looking for amazing analysers of data to develop models across a breadth of technology platforms. Data scientists at Microsoft have diverse opportunities to empower people and innovate in technology. Analytics8 is a specialist data and analytics consulting company that works to create data-driven solutions for translating data into meaningful and actionable information. Focusing on data management, business intelligence, data visualisation, big data and advanced analytics, data scientists are crucial to delivery strategy and design through implementation and support. Data scientists at Analytics8 help organise and analyse large data sets with relational and big data technologies for statistical insights. Experian uses data to drive technological advancements, and recognises the power of data in helping people, businesses and society. Data scientists at Experian help design, develop and innovate data-driven analysis. They also look at decision models to solve business problems, working with large data-sets and developing analytical statistical models. Qantas is one of Australia’s flagship airlines, embracing innovation to lead us into the future of travel. Although Qantas is synonymous with aviation in a lot of people’s minds, the company is also making headway on digital solutions to drive the business forward. Rich data provides the opportunity to innovate and improve for solving business challenges. 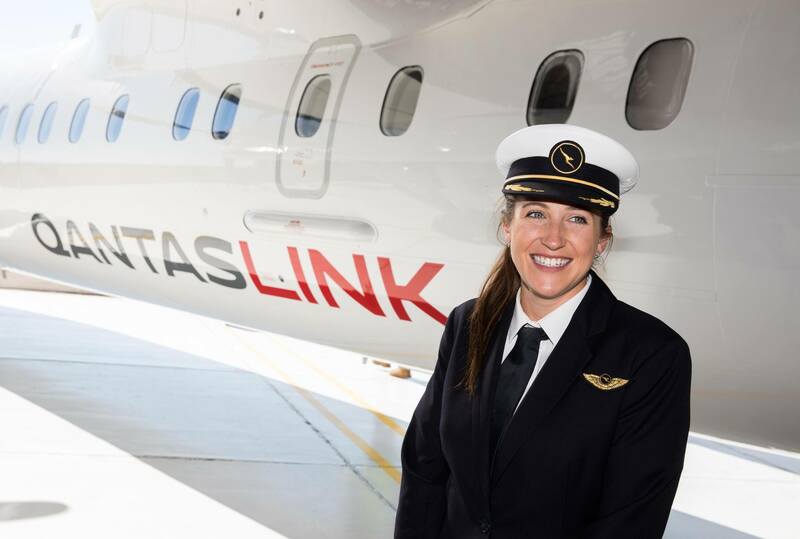 Data scientists at Qantas work closely with analytics and decision-making teams across the Qantas group, working on everything from optimising aircraft data to the acquisition and retention of customers. People + software + innovations = amplifying potential. That’s what Infosys aims to do. The company’s aim is to assist clients in building innovative solutions for their own businesses. Data scientists at Infosys analyse large amounts of data to present data insights through visualisation and provide support to project teams. 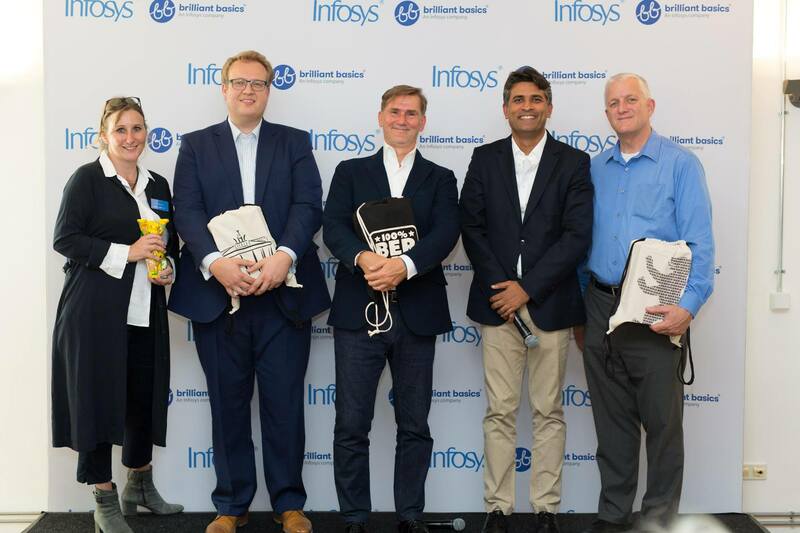 Infosys employees have an entrepreneurial mindset and a grassroots approach in leveraging technology transformation. MAPR Technologies give your AI and analytics an advantage by injecting their insights for progress into customers’ business goals like revenue, reduce costs and mitigate risks. The company also looks at optimising IoT analytics for organisations to increase productivity when leveraging data. MapR offers professional analytics services to assist clients with their big data investments, and uses a range of data specialists to help solve complex AI and analytical challenges for companies. Visa is developing technology that never skips a beat to support its users today and for the future. 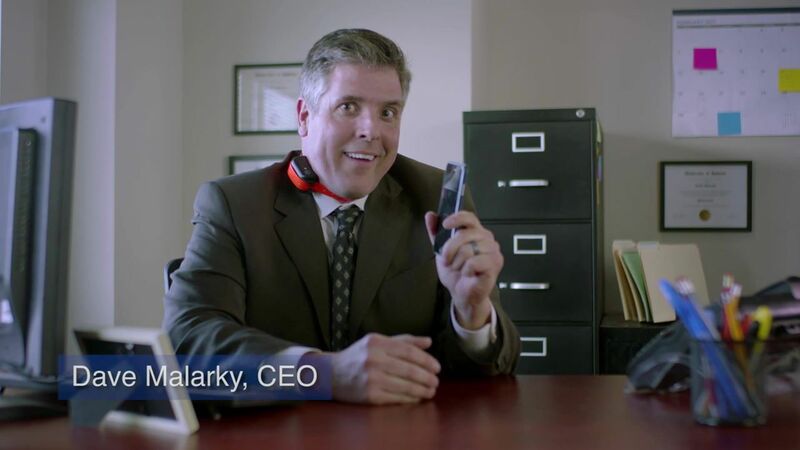 Everyone at Visa has the common goal of helping people find the best way to pay and be paid for everyone everywhere. These values are at the heart of the e-Commerce company. With over 65,000 transactions per second, there is rich data that spans over 3 billion cards globally. Data scientists at Visa focus on creating creative solutions that impact the businesses analytics into digital currency transactions. This involves extracting and understanding data to best help clients, and develop visualisation to make complex analysis accessible for a broad audience.